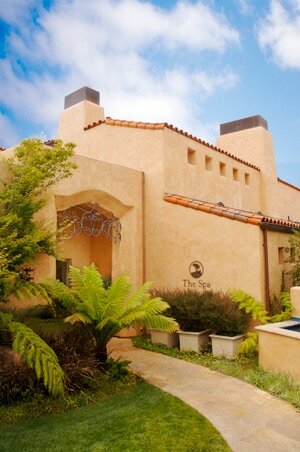 Stay at award-winning resorts,The Inn at Spanish Bay™, The Lodge at Pebble Beach™ & Casa Palmero®. Dine at exceptional restaurants. Play fabled golf courses. Treat your family to the perfect vacation. From hiking trails and kayaking to horseback riding and cycling, there's so much for you to explore throughout Pebble Beach Resorts® and the Monterey Peninsula. Come enjoy a truly incredible experience, all in one spectacular corner of the world. Enjoy Complimentary rounds of golf. PLUS, Up to 20% off the 3rd & 4th nights. Photos Courtesy of Pebble Beach Company. Nestled among majestic Monterey pines—and fronted by a Scottish-style links golf course that touches some of the most breathtaking coastline in the world--The Inn at Spanish Bay is an idyllic retreat. 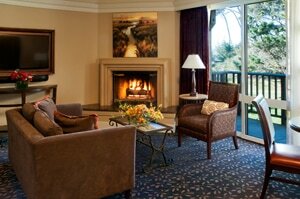 All guest rooms feature stylish and comfortable furnishings and a warm, cozy fireplace. Most rooms include a private patio or balcony, providing magnificent views of landscaped grounds, pine forests, green fairways or the Pacific Ocean. Each room also features complimentary Wi-Fi, LCD flat-panel televisions with cable and lavish modern bathrooms with signature amenities to enhance your stay. 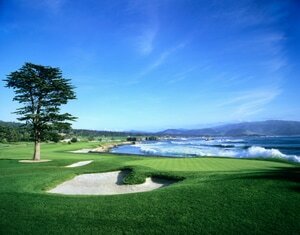 One round on Pebble Beach Golf Links® and one round on Spyglass Hill® Golf Course or The Links at Spanish Bay™. This pricing is for a Garden View room and is inclusive of taxes & service charges. 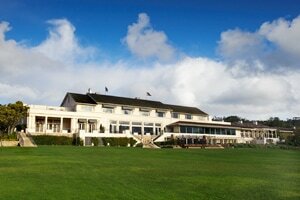 Pricing includes one round on Pebble Beach Golf Links and one round on The Links at Spanish Bay for one player. Additional players and room type package rates available by request. Kids 12 and under eat for free at Roy's and STICKS, play golf for free at par-3 Peter Hay Golf Course, play tennis for free, enjoy a horseback trail ride for free. Pricing is inclusive of taxes & service charges. Additional nights/room types may be available by request. Package is valid for stays through 3/31/17. 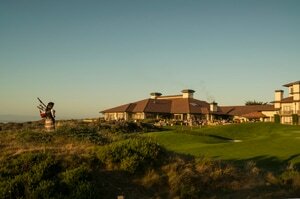 Receive one free round of golf at The Inn at Spanish Bay™ ($280 value), with a minimum two-night prevailing rate stay at The Lodge™, The Inn™ or Casa Palmero®. All international AMEX Platinum & Centurion card holders receive an annual complimentary Preferred Golf membership! 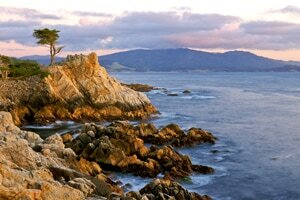 Pebble Beach Resorts offer is limited to one (1) round of golf per package. See more info at www.preferredgolf.com. Valid for stays 11/20/16 - 3/31/17. 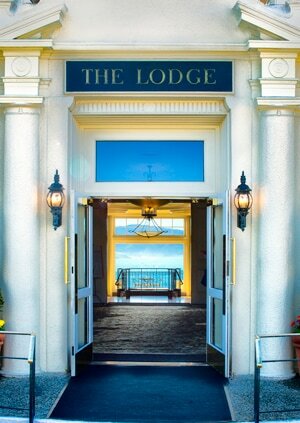 Since 1919, The Lodge at Pebble Beach has been a legendary California haven for discerning guests. From the moment you walk through the door, you are welcomed with impeccable service and comfortable elegance. 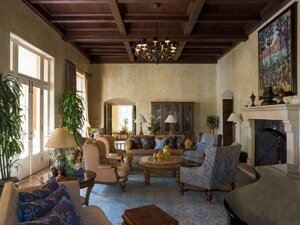 There is an ease about our grandeur that stems from the storied past. Your stay at The Lodge at Pebble Beach will enchant you with attentive hospitality, stately architecture and a glorious setting overlooking the Pacific Ocean. Spacious guest rooms feature wood-burning fireplaces and stunning views of flowering gardens, ocean-side fairways or Stillwater Cove. We invite you to come and create your own treasured memories at The Lodge. Overlooking the 1st and 2nd fairways of Pebble Beach Golf Links, Casa Palmero is an enchanting enclave of lush landscaping, trellised walkways and tiled patios. This elegant and intimate Mediterranean-style estate features 24 private rooms, each offering wood-burning fireplaces, oversized soaking tubs and sumptuous beds. Enjoy our luxurious living room, library, billiard room, heated outdoor pool and complimentary refreshments at the spacious bar and lounge in the main house. There is a personal coordinator onsite who will customize all of your arrangements, and just steps away is the award-winning The Spa at Pebble Beach. Rated one of the “Top Resorts in Northern California” by Condé Nast Traveler, Casa Palmero is an oasis of personal service and comfort, where you’ll think you’re in your very own Italian villa. Lodge package starts at $3,945 for one player or $5,115 for two players in one room. Pebble Beach®, Pebble Beach Golf Links®, Pebble Beach Resorts®, The Lodge at Pebble Beach™, The Inn at Spanish Bay™, The Links at Spanish Bay™, Spyglass Hill® Golf Course, The Lone Cypress™, The Spa at Pebble Beach ™, Casa Palmero®, 17-Mile Drive®, Pebble Beach Golf Academy™, The Heritage logo, and their respective underlying distinctive images are trademarks, service marks and trade dress of Pebble Beach Company. Used by permission.